I was sitting at a cafe patio on a beautiful Saturday afternoon, having an espresso with a friend of mine who is a director and screenwriter. Let me tell you, you don't spend too much time with a screenwriter before the topic of conversation inevitably shifts to - you guessed it - movies. My friend, you see, began to explain to me the plot of a feature film he was writing. I listened intently to the engaging premise, the interesting main character, and all of the adventures and challenges he would have to overcome throughout the story. But then something weird happened. My friend began to explain the film's "B Story," or sub-plot. It involved a character who, although he was close friends with the main character of the story, wasn't essential to the main plot. In fact, this B Story was very much a stand-alone story, with a hero, foil, and laughs to call its own. The tone and manner was a stark contrast to the main plot of the film. Here's where I pushed back - "Woah, woah, woah!" I stopped him in mid-sentence, "Where did this story come from? It has nothing to do with what this movie is all about!" "Of course it does," my friend replied with a smile, "it's just as important as the A Story." 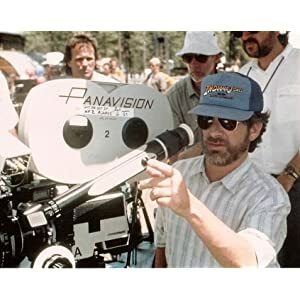 "You see," he explained, "when it comes to writing films, there is always an A Story - the main plot - and a B Story - a sub-plot that provides a break in the action and helps to add depth to the film." He cited one of my favourite movies, Jurassic Park, as an example of a movie with an A Story - Dr. Grant and John Hammond's two grandchildren, Lex and Tim, attempt to survive in Jurassic Park once the dinosaurs escape. The B Story, which involves Dr. Sattler, Hammond, and the others attempting to bring the park back online, continues alongside the A Story to add depth to the main plot. "In fact," my friend added to my horror, "Jurassic Park even contains a C Story as well." He was right. Dennis Nedry's attempt to steal the park's dinosaur embryos was yet another facet of the script. Was I totally off-base? "Wait a minute!" I shot back, "Although I buy your argument that a B Story can add depth to a good movie, more often than not, it can actually muddy things up by introducing characters and plot-lines that just aren't essential to the core story." There are many great movies, I argued, that only have A Stories. The compelling nature of the main plot is often enough to drive the feature film, despite its simplicity. E.T., another Spielberg classic, is the kind of simple, archetypical story that doesn't need a plethora of characters and sub-plots to be an interesting film. In fact, think of a movie like Cast Away, most of the film features one character and very little dialogue. Simplicity, and a compelling story, I argued, is the key. So, what does this all mean? When it comes to films, sometimes a B Story can help movie out, sometimes it can detract from the main plot. But when it comes to advertising, the A Story beats the B Story every time. I'll say it again, simplicity and a compelling story are the key. Recently, two ad campaigns touting a new entrant to the Canadian wireless market launched around the same time. Mobilicity - a brand name that, ironically enough, was created with the intention of simplifying mobile plans - presents a series of advertisements that are actually very complex and hard to understand. There's an A Story, a B Story, and more. (If you take the TTC, you can't miss them). Even the Mobilicity logo seems to be a combination of two stories versus just one. Public Mobile, on the other hand, features a refreshingly simple campaign with a compelling promise: unlimited mobile plans for the masses. It's an A Story all the way. Have a look below, and you be the judge. ACTION!